Former Manchester City and England player Mike Doyle has died aged 64 after being treated for liver failure. Doyle, a defender or midfielder, made more than 500 appearances for City and won five England caps. With City, Doyle won the old Division One title, the FA Cup, the European Cup winners' Cup and the League Cup twice - scoring in the 1970 final and skippering them to glory in 1976. After leaving City in 1978, Doyle played for Stoke, Bolton and Rochdale. He hung up his boots at the end of the 1983/84 season, having played 627 matches in his career and scored 42 goals. The father of four from Ashton-under-Lyne was being treated at Tameside Hospital. Manchester-born Doyle joined City as an apprentice in 1962 and made his first-team debut in March 1964. 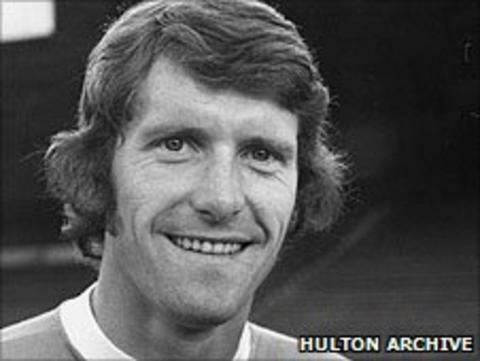 Featuring primarily as a defender, Doyle went on to become a key player in the club's hugely successful period with Joe Mercer as manager and Malcolm Allison as assistant. After their departure, he was handed the captain's armband for the first time in 1975. City ambassador and Doyle's former team-mate Mike Summerbee told Manchester City's website: "He was the heart and soul of Manchester City, the club meant everything to him. "Mike was somebody you always wanted alongside you when the going got tough. "He was a great footballer, a magnificent servant to this club, and he was also a nice bloke into the bargain."